Schoolhouse Grill offers great tasting alternatives within our Breakfast, Lunch and Snack programs. Additionally, we offer a Bulk Wholesale Supply service to round out the most efficient, full-featured food service program available. 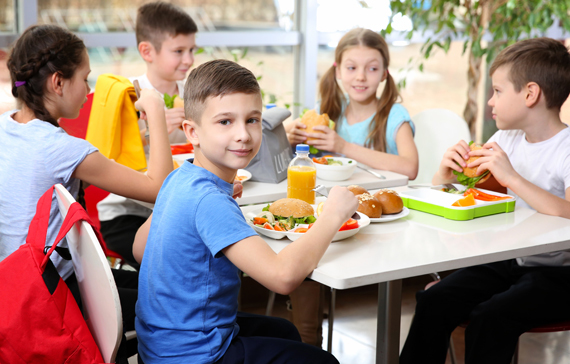 Schoolhouse Grill will decrease time and worry while providing the assurance that the students are receiving well balanced and high quality meals on a consistent basis. Our program eliminates the need for faculty or volunteers to bring in lunch and snacks. 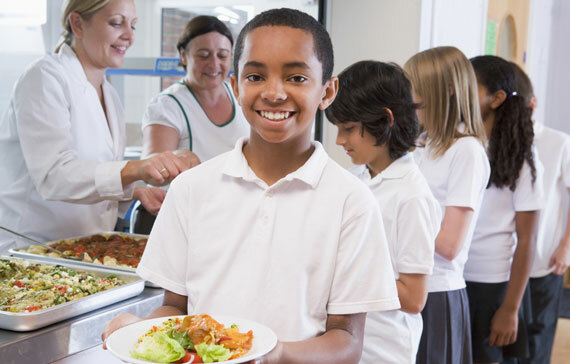 We are your single point of contact for all of your school food services needs. No more multiple vendors or time consuming errands. We develop all menus, prepare the food in our state of the art facility, and deliver them to you hot and ready to serve. In most cases we can provide this for less than it will cost to do it yourself. Easy to serve, kid friendly, and best of all, it meets all USDA requirements. A healthy breakfast sets your child up for a bright day. Our healthy and affordable breakfast meals exceed USDA requirements, but, more importantly, they are easy to serve and kids love them. All our meals are prepared with quality, fresh ingredients to ensure your child enjoys their food while getting the critical nutrients to fuel them for the rest of the day. Breakfast at school gives every child the opportunity to eat a good meal at the beginning of the day. Contact us and we will be happy to go over our meal plan with you. We use only quality, fresh ingredients that parents desire and kids love. The best way to refresh your child's brain and body is with a delicious lunch prepared with fresh ingredients. A nutritious midday meal keeps your child engaged and ready to conquer the rest of the school day. At Schoolhouse Grill, we know how important nutrition is in your child's education. Getting the proper fuel will ensure your child is at his or her best to focus. Best of all, a healthy lunch helps parents know their child's nutrition is taken care of. Contact us to find out more about our lunch program and how easy it is to get our meals delivered to your school. An emphasis on easy to serve, healthy choices and budget-consciousness. When your child needs a break during the day our healthy snacks and beverages will help them recharge. A bite or drink is sometimes all a child needs to get through the remainder of the day. Getting nutritional snack food is so difficult today, but Schoolhouse Grill provides healthy alternatives. Our selection of snacks and beverages is healthy and convenient for your child. Please contact us to find out more about our snack and beverage services. Plates, paper towels, sanitizer or other products, delivered to you. At Schoolhouse Grill, we have everything you need. We deliver utensils, plates, napkins, sanitizer, and much more. And we can fulfill orders within 24 to 48 hours so you have the supplies you need when you need them. Please contact us for a full list of everything we offer and we will work with you to make sure you have everything you need. Are you looking for a new meal plan for your preschool or daycare? Are you looking for healthy food that will also keep children happy and satisfied? Here at Schoolhouse Grill, we remove the hassle of food preparation and deliver meals made with fresh quality ingredients. Our healthy and affordable breakfasts, lunches, and snacks are prepared in our specialized kitchen. Children love our delicious meals and you will love how nutritious they are for them. All our meals are CACFP compliant and exceed USDA nutrition guidelines. We know that young children are picky about the type of foods they eat, but your children will love our healthy food options. We test our menu with children who love everything we offer. We look forward to working with you and providing a menu that your children will love. Contact us and find out how easy it is to have healthy meal options delivered to your preschool or daycare. We will set you up with a client services representative to make sure you have all the information you need to selective the best options for the children. At Schoolhouse Grill, we work with different schools throughout the region. We feed elementary, middle, and high school students every day. We pride ourselves in preparing healthy options in our commercial kitchen for schools so children can get all the nutrients they need to excel. If you're looking to add healthier meals, we deliver fresh, high quality foods that students love and are easy to serve. We know how hard it is for parents to find healthy meal options for their children and how hard it is to get children to remember to take their packed lunch to school. That's why we created this healthy option of breakfasts, lunches, and snacks. We look forward to working with you to find the best meal option for your students. 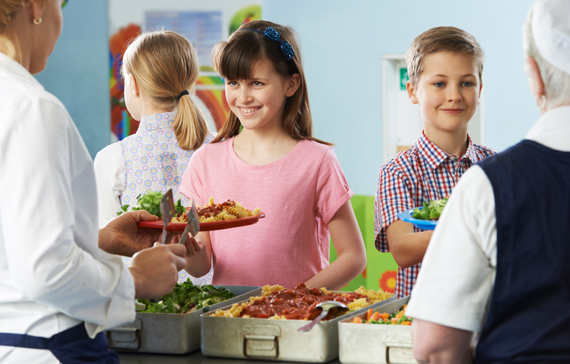 Contact us to learn more about our meal programs for breakfast and lunch. Why Choose Schoolhouse Grill for your Charter School? At Schoolhouse Grill, we work with charter schools throughout Northern Virginia so we understand how important nutrition is for a child's growth and education. A good meal is essential for a child's mental and physical well-being. That's why we created a menu of healthy, fresh, and vibrant meals to keep your child enthusiastic and excited to learn. We deliver our meals to charter schools so its faculty can focus on helping children become the best they can be. Your child will have the healthy food they need to make them feel good throughout the day. 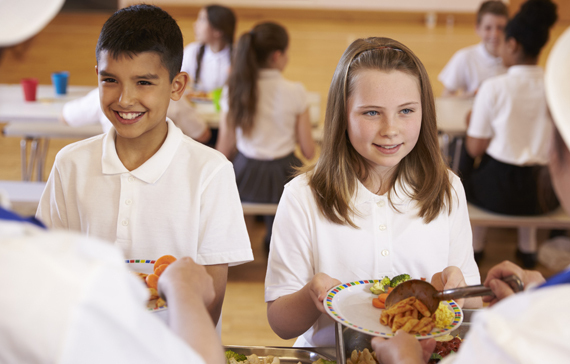 We want to help you supply quality and nutritious meals for your students and children. Contact us if you would like to talk to a client services representative to find out more about our meal plans.